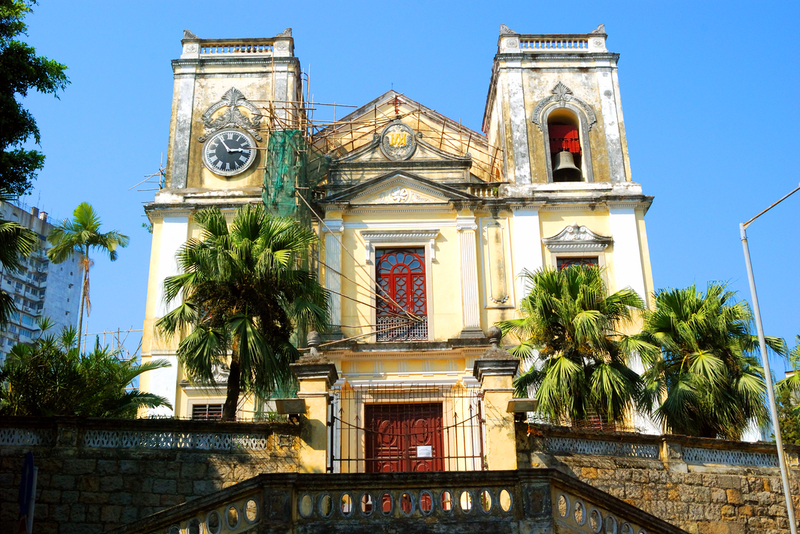 St. Lawrence’s Church on the Macau Peninsula is one of the oldest churches in Macau, originally built in 1560. The church’s neo-classical design is unique among sights in Macau. The church has been dubbed Feng Shun Tang (Hall of the Soothing Winds) based on its history where families of Portuguese sailors would gather on the church’s front steps to pray and wait for the return of their sailors. The church still runs different services, including weddings, funerals and baptisms. Mass runs at 07:30 and 09:00 in Chinese.